It is really hard to describe MUDEC in one sentence or one word. The most obvious one would be “museum” but that word seems almost too simplistic. While I have the utmost respect and appreciation for museum and galleries, MUDEC is more than a simple “museum”. It is a meeting place where people, cultures and ideas come together. To quote their website, they are “dedicated to the interdisciplinary research of world cultures”. The space in itself has a strong identity and was built on the site of the old Ansaldo factory in the industrial and hip Tortona area of Milan. 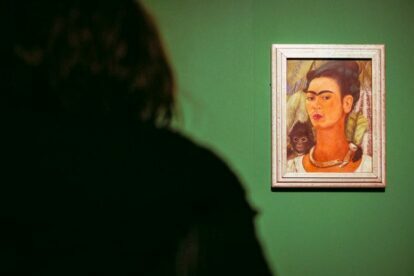 In addition to its astonishing permanent collection, MUDEC also holds beautiful temporary exhibitions such as Gaugin, Jean-Michel Basquiat or Frida Kahlo. When you are done appreciating the art, you can enjoy exploring the book store or the design store. While the bookshop usually has books and works inspired or related to the current exhibitions, the design shop showcases some of the most interesting items in contemporary design. If you are coming to Milan for a weekend or a short stay, I promise MUDEC will be worth the experience!